William Shakespeare (1564-1616). 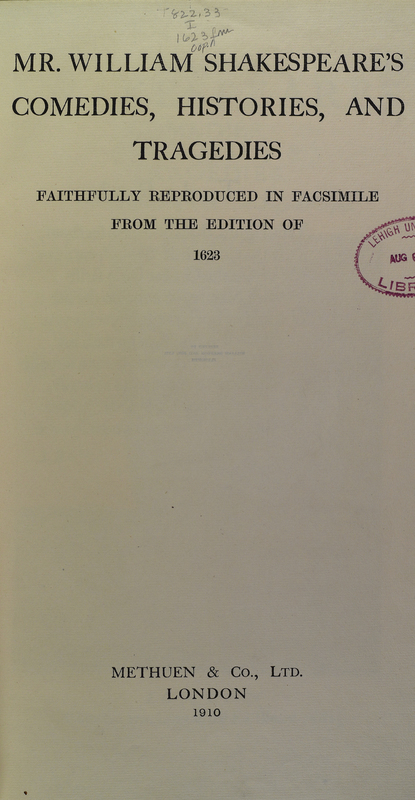 Mr. William Shakespeare's Comedies, Histories, and Tragedies faithfully reproduced in facsimile from the edition of 1623. London: Methuen & Co., Ltd., 1910. 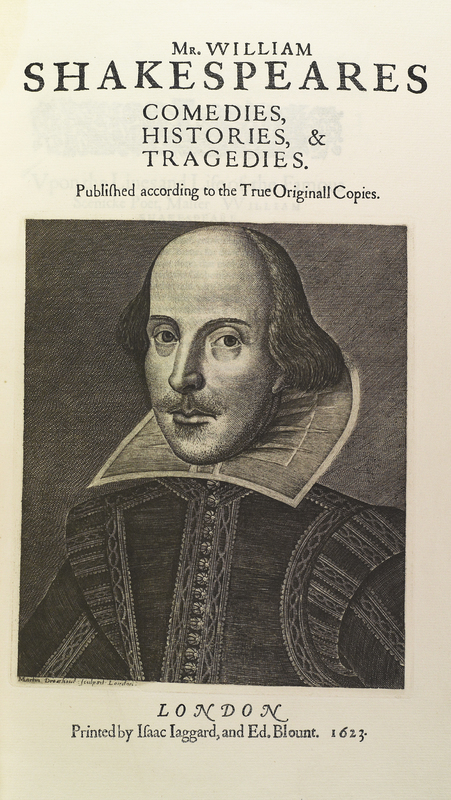 This famous frontispiece showing a portrait of William Shakespeare is faithfully reproduced in this facsimile of the First Folio. In one of the most recognizable portraits in the world, Shakespeare wears the period dress of a gentleman.